The only step-by-step guide to building a careerin the skilled trades and achieving the American dream. What does a career as a welder look like? Why should you consider becoming a welder? 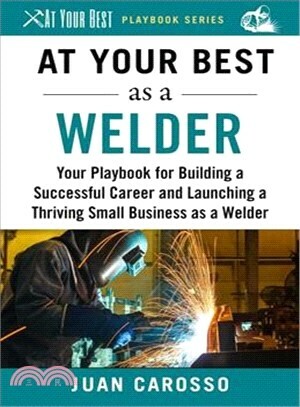 How do you become a successful craftsman as a welder? How much can you make as a welder? What are your career options once you become a welder? How long does it take to be successful at each stage in a welder’s career? How and where do you find work as a welder? Juan Carosso holds an MBA in finance and marketing from the University of Michigan and has over thirty years’ experience in business development for startups and turnaround companies. He also manages a real estate investment business and has renovated properties across the US. His relationships with tradespeople and contractors revealed a lack of qualified candidates that limited business growth, and Juan has since made it his mission to expose people to, and educate them in, the opportunities that the skilled trades provide. He lives in Kingston, WA.